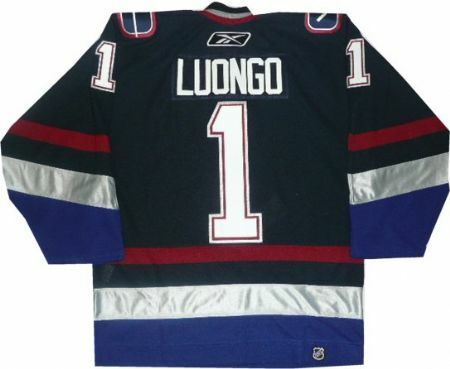 Authentic 2006 Roberto Luongo Vancouver Canucks Reebok jersey, #1 and Luongo is sewn in triple layer tackle twill On-Ice Vintage throwback jersey worn by the Canucks. Authentic name and number is sewn on the back in authentic tackle twill. Canucks logo is sewn on the front. Pro Material-Air-Knit ® polyester, has double layered shoulders and elbows, and reinforced stitching on all seams and hems. Also has the FIGHT STRAP in the back of jersey. Sizing made to for on-ice with padding, so the jersey may run big.